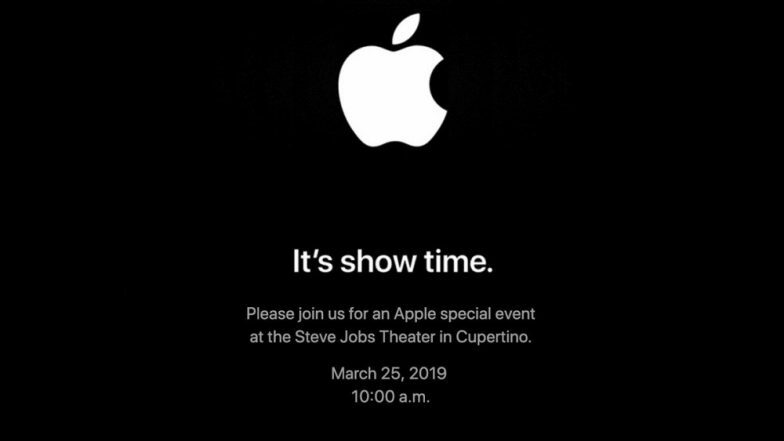 Apple, the Cupertino-based technology giant is holding a 'Show Time' event today in California wherein the company is expected to launch streaming TV and Netflix-Like service. The launch will mark Apple's first event of 2019 which is scheduled to commence at 10 AM PDT (around 10:30pm IST). The launch event will take place at Steve Jobs Theater in California. The company is likely to launch the much awaited streaming service along with subscription TV. Lately, the company reportedly had been signing several deals with content providers and also producing its own original shows. Apple's streaming service will be launched on the global front and will be pitted against Netflix, Amazon Prime Video and others. Apple Set to Launch Netflix-Style Streaming Service. Apple reportedly will be launching a streaming TV and video service at its Show Time Event that will be streamed on Apple's dedicated events page. You can watch the live streaming here. The company is recommending to use Safari on the iPhone, iPad, or iPod touch for navigating to the live streaming page of Apple's event. According to the market reports, it is believed that the company may resell the service subscriptions from Viacom, Lions Gate, CBS Corp and others, which could also include Apple's original content. Additionally, the company has already spent around $2 billion for producing own content and bagging stars like Oprah Winfrey. According to the sources very close to the matter, the company is also speculated to be in-talks with Warner Media, HBO and others to become a part of its service. Apple will be looking to introduce the new streaming service across the globe and it will rival against Amazon's Prime Video and Netflix. Moreover, the service is likely to be distributed via Apple's App store, which is available over 100 countries worldwide. According to Ben Bajarin, an analyst with Creative Strategies, Apple's event will be iPhone maker's foremost event that will not primarily focus on the hardware front.